With this set of two Eva Solo round hanging mini-feeders, your terrace or balcony will become the centre of a small ecosystem where birds come to feed, to the delight of all! 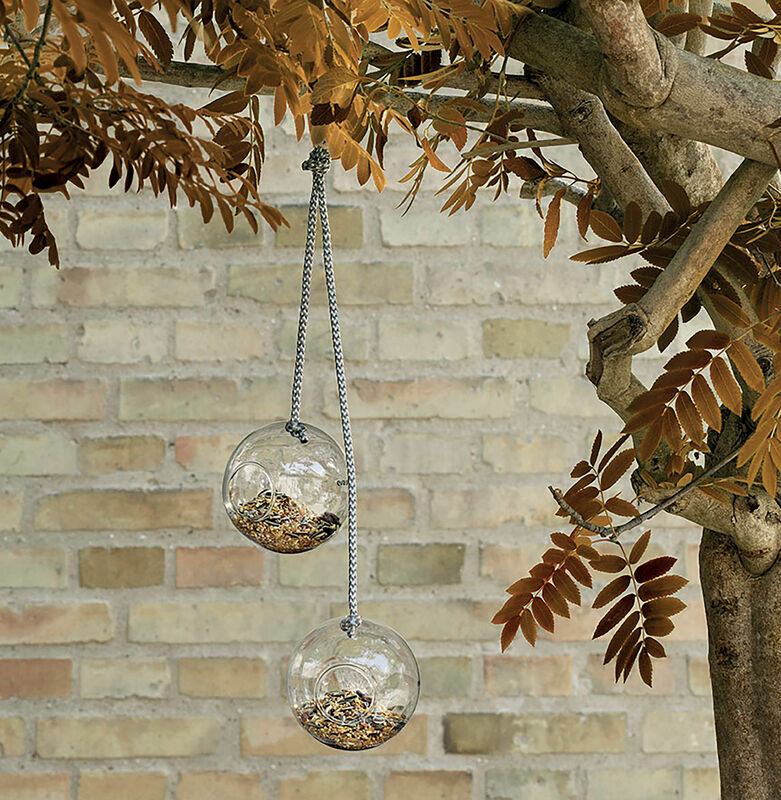 Completely round, open on one side, made of hand-blown glass, they can be hung from branches, grilles, railings and even eaves using a simple, removable hook system. 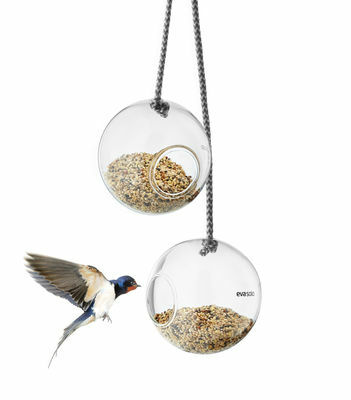 Highly practical, they have a small drain hole to keep the seeds dry. 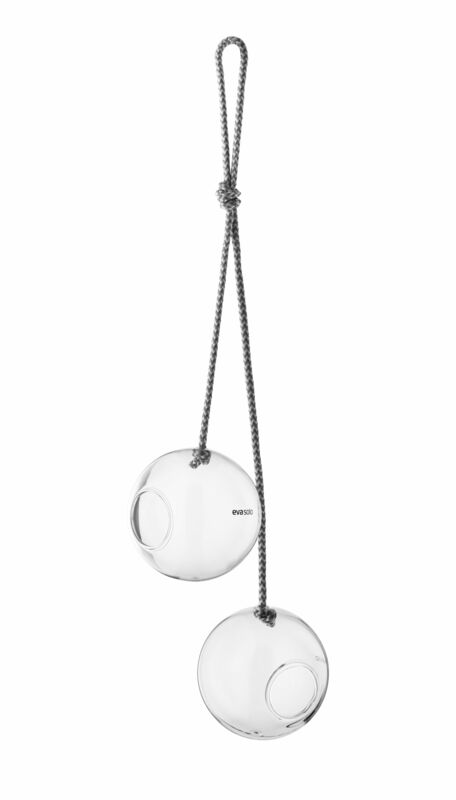 These feeders are also highly designer: transparent, they bring a decorative note full of joy wherever they are placed.